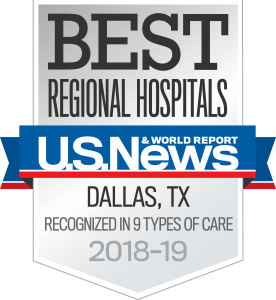 UT Southwestern Medical Center at Park Cities is located on Hillcrest Road, just north of Northwest Highway, on the west side of the street. The street level building entrance is located between Insight Complete Eyecare and Simply Fit Meals. Look for the double glass doors with 8611 marked on top. Once through the doors, proceed to the end of the lobby, and the elevators are on the left. Take the elevator to the third floor. Ample free parking is available for our patients in the two-level underground garage. Visitors can enter and exit the garage from either end of the building.